Hi, friends! I hope you had the best weekend! The weather was beautiful yesterday so we took off for the afternoon to play tourist in St. Augustine! It’s about a 25 minute drive south of us, so we were able to walk around a good bit, stop for ice cream, visit the fort, make one quick stop by the beach and then head home for the evening. Walking around the touristy city has my husband and I talking about taking a little vacay there soon! There’s just so much to do! 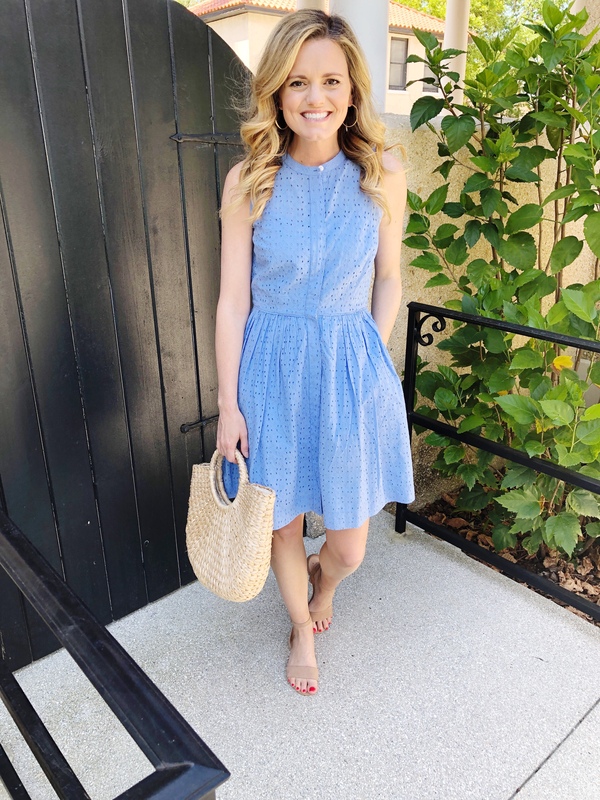 The bunny will be heading our way soon so I rounded up some dress options for Easter Sunday. In regards to dressing for Easter, it makes me think of pastel colors with lots of eyelet, seersucker and florals. 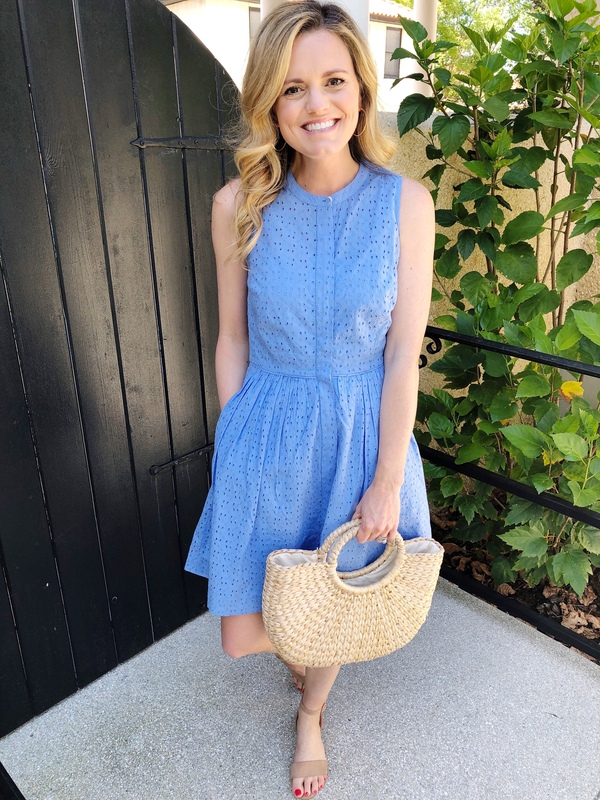 I scooped up this pretty eyelet dress on the last JCrew Factory run. When I put it on yesterday for pictures, I told my husband no less than 3 times “I love this dress.” It makes me feel so chic and put together. The color is perfect for Easter and although I do love blue, it comes in a pretty yellow! Great news – it’s on sale today for under $40! It runs TTS and I’m wearing the size 0. I found so many (SOO MANY!) more cute options that I’m including below!